Chlorofresh is a liquid chlorophyll complex extracted from premium botanicals that is used as an internal deodorant. Chlorophyll is the pigment that gives plants and algae their green color. 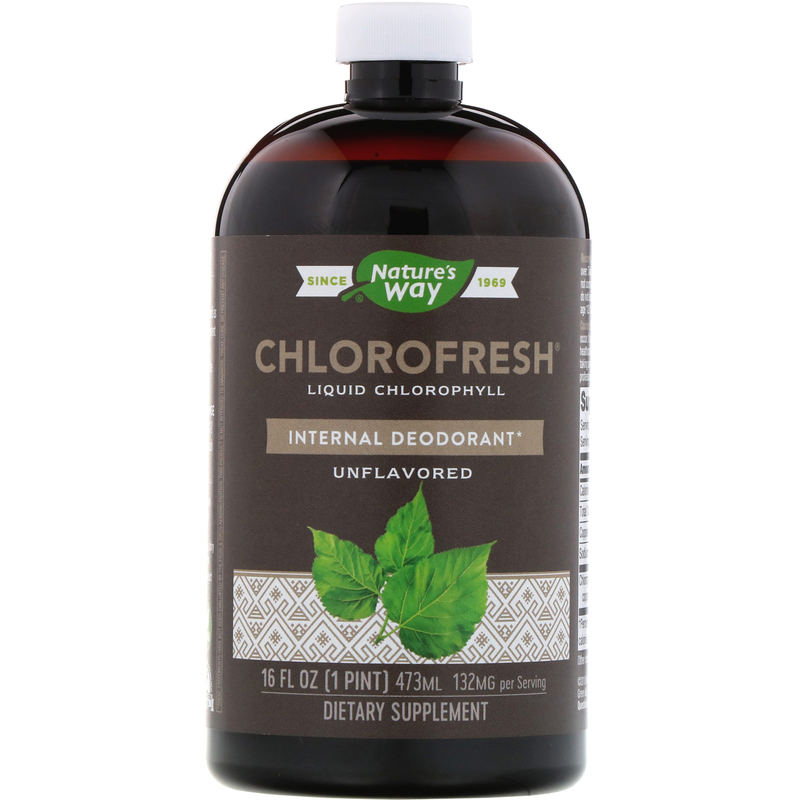 Nature's Way chlorophyll is derived from white mulberry leaves. 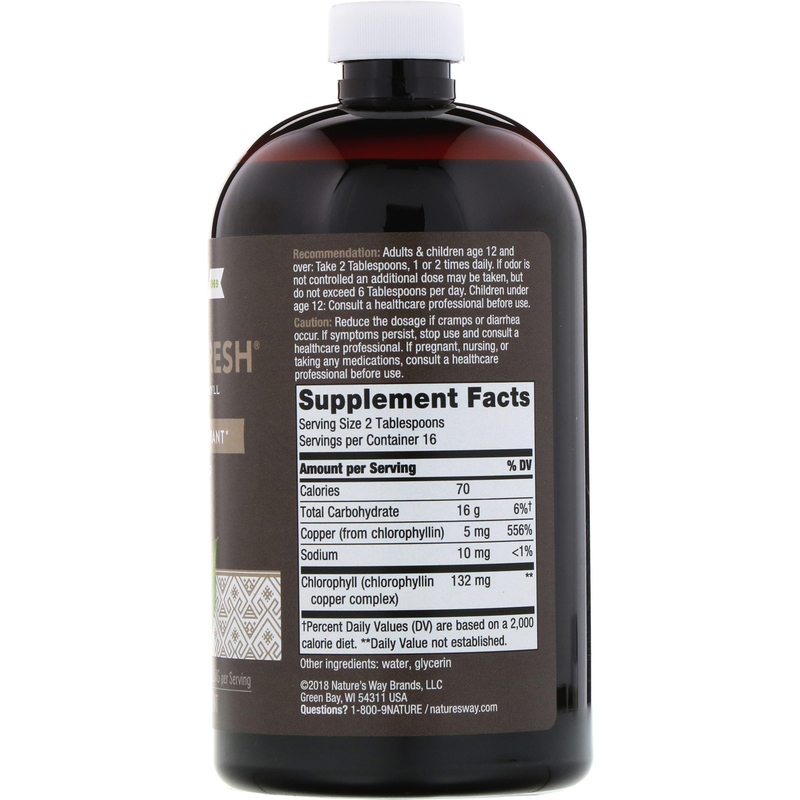 Adults & children age 12 and over: Take 2 tablespoons, 1 or 2 times daily. If odor is not controlled an additional dose may be taken, but do not exceed 6 tablespoons per day. Children under age 12: Consult a healthcare professional before use. Use at full strength or add 1-2 tablespoons to 4 oz glass of water. Rinse mouth thoroughly and repeat. Caution: Reduce the dosage if cramps or diarrhea occur. If symptoms persist stop use and consult a healthcare professional. If pregnant, nursing or taking any medications, consult a healthcare professional before use.